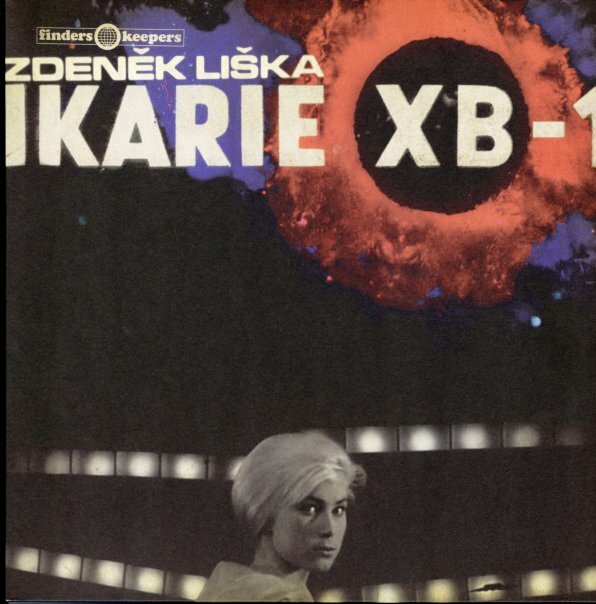 Fantastic sounds from outer space – a electro-acoustic masterpiece, put together for a Czech sci-fi film of the 60s – but done in a mode that stretches far out into space beyond the world of cinema! The music is stark and dark at some times – almost with an electro-shock approach – but other moments are beautifully tuneful, too – and as things pick up, there's even a few jazzier passages that are similar to Peter Thomas' great work on the Raumpatrouille soundtrack! This one's still a lot spookier than that one – and some of the timings of the music have this wonderful crash-up vibe, which is pretty darn unique. Titles include "The Tiger's Breath", "Dark Star", "Do Not Eat The Fruit", "EVA Will Teach You", "Surveillance On Standby/Alpha Centauri", "Sunflower For A New Star", "Voyage To The End", and "The White Planet". © 1996-2019, Dusty Groove, Inc.